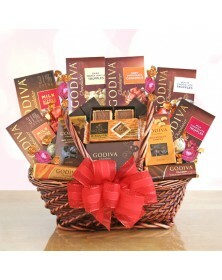 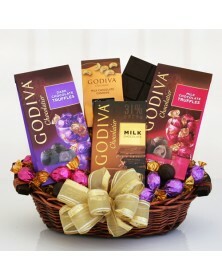 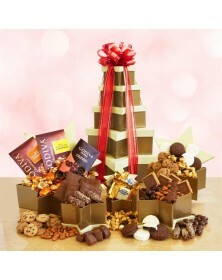 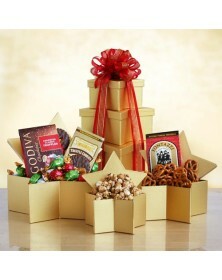 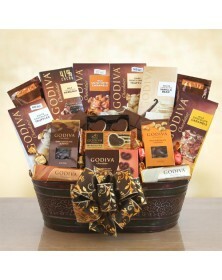 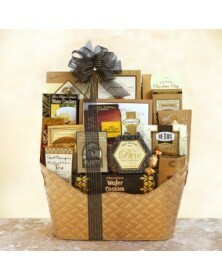 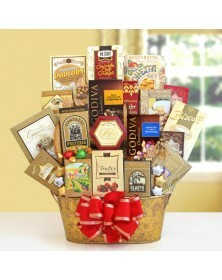 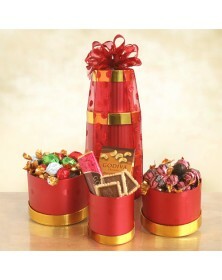 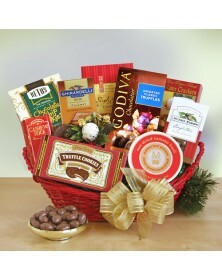 When you want to send the very best to the very best, Godiva chocolate gift baskets are the ideal selection. 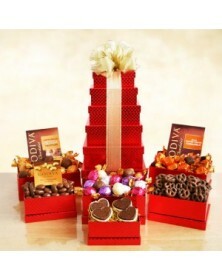 Sweet, delicious luxury all delivered in an impressive package. 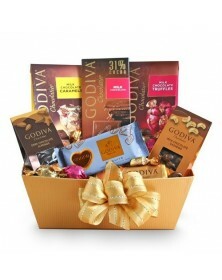 a rich Godiva® milk chocolate bar and chocolate dipped cashews all wrapped up in a gift basket and topped with a gold bow.